This is considered by some to be the best coffee maker for home use, but that is obviously up for some debate. One thing is without argument however; that no other coffee maker has fascinated the passionate coffee drinkers of the world like the PEBO (formerly the SANTOS). Its exceptionally effective vacuum brewing method extracts all precious oils of your favourite coffee, and the vacuum brewing process is entirely sealed off so no aroma can escape. In addition, the brewing time and temperature are perfectly calibrated, ensuring a perfect cup of coffee with each brew. You could spend far more than the $90 asking price and never get close to the quality cup of coffee that the Pebo will make. 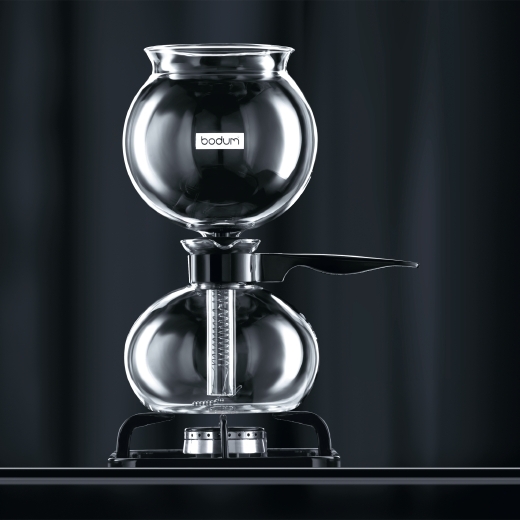 You can buy online direct from Bodum, or wherever fine coffee ephemera is sold.